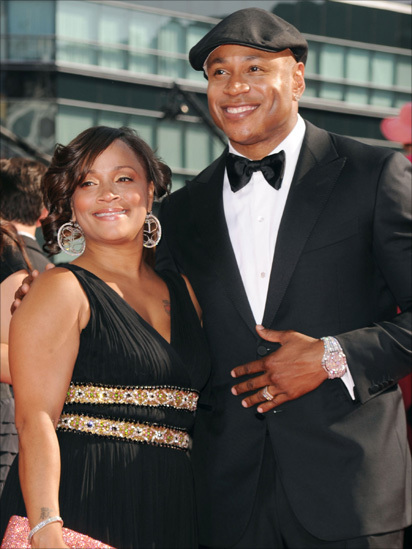 Rapper LL Cool J was among the attendees at the prestigious annual event, which took place at the Nokia theatre in Los Angeles on Sunday. 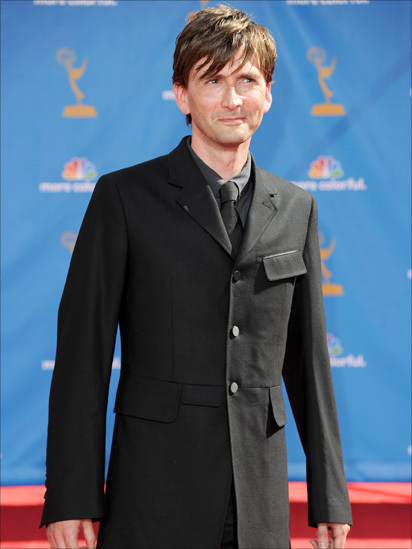 Former Dr Who star David Tennant was in the US following the filming of movie The Decoy Bride in Scotland and the Isle of Man. Ricky Gervais and Sir Patrick Stewart shared a joke on the red carpet. Kevin Bacon helps his wife Kyra Sedgwick celebrate her win for the best actress in a drama series prize. She was recognised for her role in The Closer. 1960s Advertising drama Mad Men was one of the night's big winners, taking the title for best drama series. The night gave stars January Jones, Elisabeth Moss and Christina Hendricks (left-right) a rare chance to be seen in modern outfits. Claire Danes won the Emmy for best actress in a mini-series for her portrayal of Temple Grandin, a leading autism advocate. Julia Ormond was one of a handful of British winners, picking up the best supporting actress gong for her role in Temple Grandin. Al Pacino beat Brits Michael Sheen and Sir Ian McKellen to the prize for best actor in a mini-series or TV movie for his role in You Don't Know Jack. Nurse Jackie star Edie Falco won the Emmy for lead actress in a comedy series, having previously won three Emmys for The Sopranos. 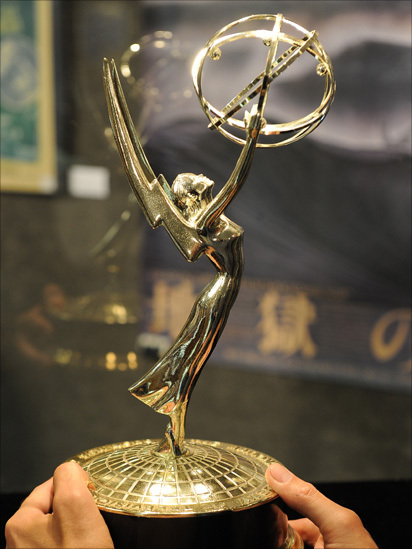 The first Emmy Awards, which were devoted solely to local Los Angeles programming, were held on January 25, 1949.